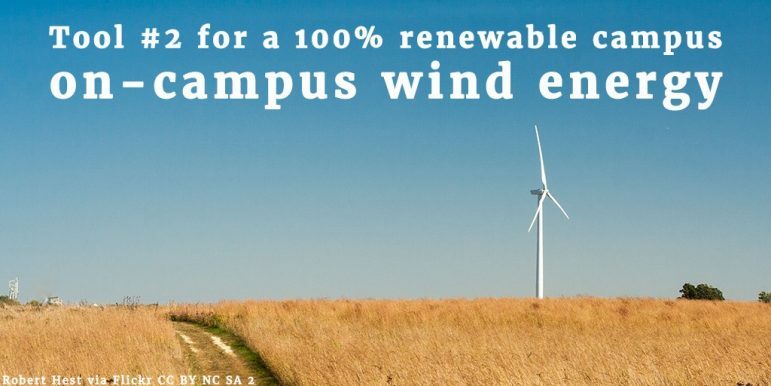 It’s never been a better time for colleges and universities across the country to go 100% renewable. Over the past decade, solar has increased 43-fold and wind has increased seven-fold nationwide. Prices are plummeting and technology is improving, prompting more and more towns, cities, states, businesses and colleges to commit to 100% renewable energy. Despite renewable energy’s incredible progress, we’ve still got a long way to go before we reach our ultimate goal and avoid the worst impacts of global warming. According to the National Renewable Energy Laboratory — to name just one example — the U.S. has the potential to meet all its electricity needs 100 times over with sunlight alone. And by installing solar panels on rooftops across the country, we could generate 40 percent of our electricity needs. Right now, solar provides just one percent of our electricity mix. As hotspots of innovation and expertise, college campuses are uniquely positioned to help accelerate the transition to a clean energy future. That’s why earlier this month, we published a series of ten factsheets as part of a report detailing how American colleges and universities can go 100% renewable. As bigtime energy users, colleges and universities can greatly influence the transition to renewable energy and save money in the process. Currently, campuses serve more than 20 million students nationwide and spend more than $14 billion per year on energy. In this piece, we’ll dive into the first three “tools” campuses can use, and move through the rest of them in later blog posts. On-campus solar is one of the best ways college campuses can meet their climate goals and move towards 100% renewable energy. Many have already installed solar arrays in open spaces like rooftops and parking lots — areas that are perfect for solar projects. Incredibly, solar installations have dropped in price by more than two-thirds over the last eight years, and is often a cheaper option than energy from fossil fuels. Butte College in California and Arizona State University (ASU) are great examples of schools effectively using this tactic. 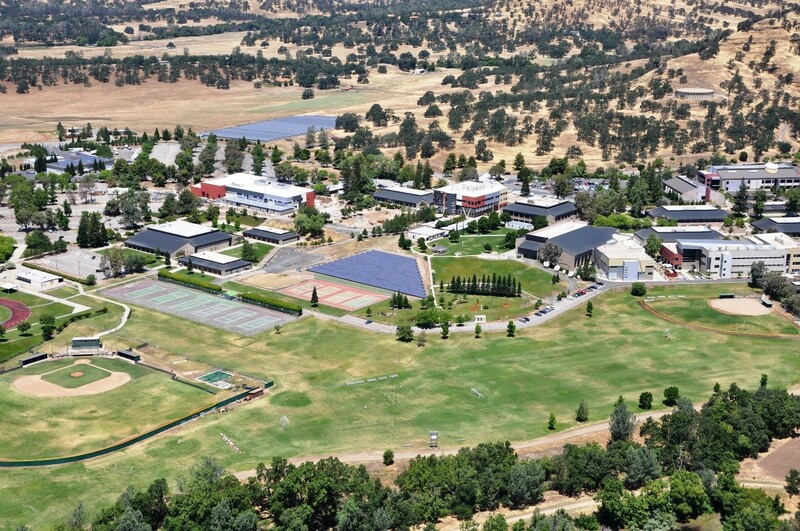 Butte College, thanks to 25,000 solar panels installed since 2005, became the first college in the U.S. to become “grid positive” in 2011, meaning that it produces more electricity than it uses. Today, the college’s solar panels avert carbon dioxide emissions equivalent to those produced by more than 1,000 passenger vehicles. In 2016, ASU had the most solar energy of any college nationwide, producing enough to avoid emissions equivalent to the annual emissions of nearly 5,000 cars. Wind energy is booming nationwide: In 2016, wind energy across the U.S. reduced greenhouse gas emissions equivalent to taking 33.7 million cars off the road — more than all the cars in California, Texas and Florida combined. Similar to on-campus solar, colleges can install wind turbines on or near campus in order to ramp up their renewable energy use. 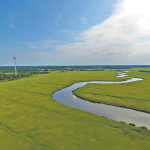 The University of Delaware campus has taken advantage of this tactic, installing the only commercial sized wind turbine in the state. Its turbine produces enough electricity to power the six buildings at its Lewes campus, as well as 108 homes in the city of Lewes. And overall, the university averts carbon dioxide emissions equivalent to taking nearly 750 passenger vehicles off the road. Similarly, in 2004, Carleton College became the first college in the country to own an active utility-grade wind turbine, and added a second in 2011. The turbines supply 55 to 70 percent of the college’s electricity demand, and avert carbon dioxide emissions equivalent to those produced by almost 1,400 passenger vehicles. It sounds simple, but it’s worth pointing out: Capturing the warmth of the sun to meet heating and hot water needs is just common sense. 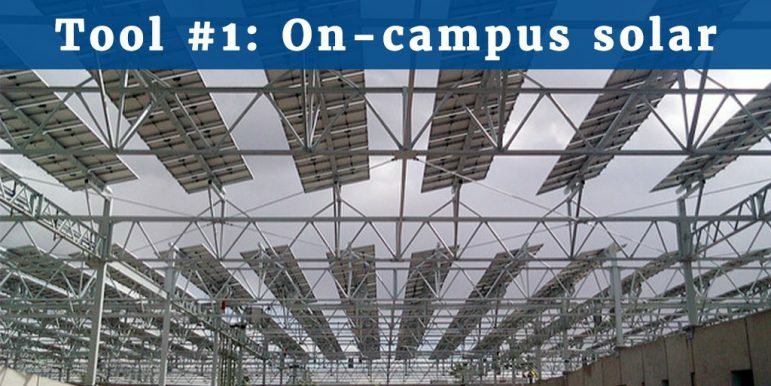 By installing solar heaters, college campuses can cut hot water costs by more than half. 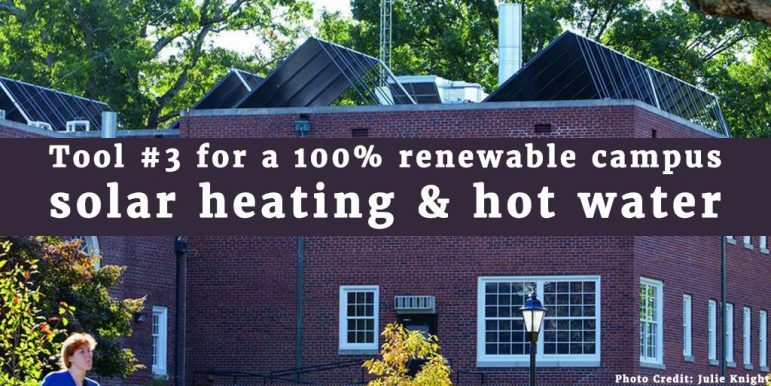 Guilford College in North Carolina committed to using solar heating, and how has 200 solar panels that produce more than 9,000 gallons of hot water each day. Gustavus Adolphus College in Minnesota has done the same, embracing solar thermal energy as a way to replace natural gas. By doing so, they’ve reduced greenhouse gas emissions from natural gas heating by 15 percent. These are just the first three tools college campuses can employ to move towards 100% renewable energy. Stay tuned for the rest, but in the meantime, check out our report for more.